We are officially in the “Pre-Launch” phase of the North American Thebaid Photographic Pilgrimage Project. The initial crowdfunding campaign will be launching very soon now, as the last components are put in place this coming week. I think it is especially fitting that my first public presentation on the Thebaid Project — to my home parish Christ the Savior-Holy Spirit Orthodox Church in Cincinnati — was on the Sunday of All Saints. 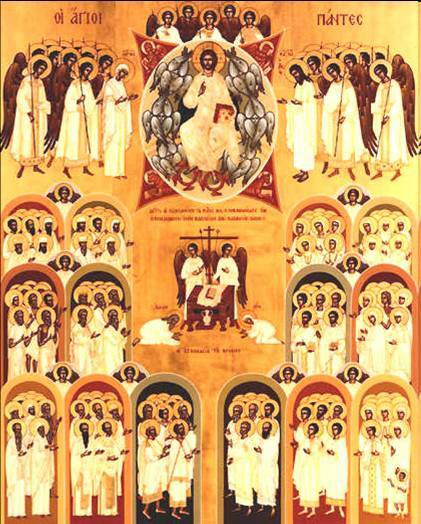 The icon of All Saints is one of the most vivid visual expressions of the Church, and conveys a sense of what the Thebaid Project is all about. I’ve chosen Indiegogo to be our crowdfunding platform, due to its established reputation for creative projects, and its flexible funding options, and am currently putting the finishing touches on the Thebaid Campaign Page. It seems to me that the Church has always been about crowdfunding, ever since St Paul collected donations during his missionary journeys to help the church in Jerusalem (cf. 1 COR 16:1-3). Now, through the internet and social media, it is easier than ever before to reach large groups of supporters to help fund endeavors such as the North American Thebaid Photographic Pilgrimage Project. 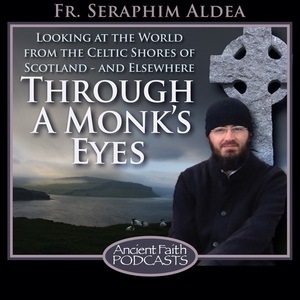 Here is a deeply inspiring contemplation (podcast) of the life of St Brendan the Voyager, the Irish monk who set out on his epic pilgrimage with no destination, yet who found his eternal, spiritual destination, and made an enduring impact on Christianity in the British Isles, Ireland and Scotland as a result. He has quickly become an inspiration to me for the North American Thebaid Photographic Pilgrimage Project, and perhaps will be for your Christian walk as well! I hope he inspires you to follow along with me as we prepare to launch the Thebaid Crowdfunding Campaign, which will enable travel and photography to begin later this Summer!